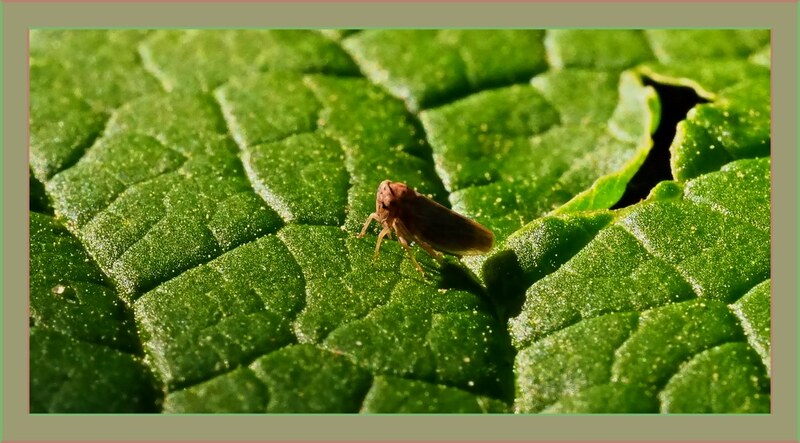 I wonder if that leaf hopper feels like it’s mountain climbing? or wandering green hills? Lovely photo, Tom. I love the rhymes — and the idea that yes, the world today is far from sane. Maybe I read too much into your poem, regardless well said, Tom, well said. Dainty little guy – looks not much bigger than a flea!